In the last few decades, the pharmaceutical application of marine natural products has attracted much attention from both organic and medicinal chemists. Recently, significant interest is focused on the isolation, identification, and biological activities of compounds from the Red Sea organisms and many of these compounds show promising biological activities, particularly cytotoxic and antimicrobial effects. 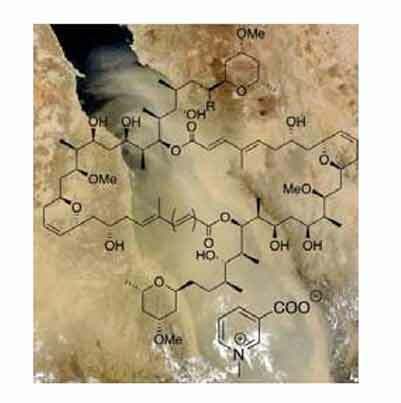 This review covers the natural products and their biological activities isolated from the Red Sea flora and fauna in the recent past years. Anticancer, antimicrobials, bromophenols, cerebranoids, hyrtioerectines, lactones, latrunculins, marine natural products. Department of Chemistry and Biochemistry, Rowan University Glassboro NJ 08028, USA.